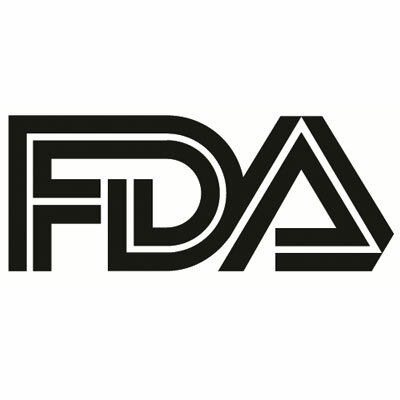 The US Food and Drug Administration (FDA) has accepted the application filing for brolucizumab as a potential therapy for patients with wet age-related macular degeneration (wAMD). The Biologics License Application (BLA) acceptance for Novartis’ humanized single-chain antibody fragment (scFv) also included a Priority Review indication, as the company used a review voucher to expedite the FDA decision process. Pending approval, the therapy could reach US markets before the end of 2019. Brolucizumab’s application is based on data from the phase 3 HAWK and HARRIER trials, a pair of prospective, randomized, double-masked, multi-center studies in which investigators assessed for non-inferiority to aflibercept in mean best-corrected visual acuity (BCVA) change over 48 weeks. Patients administered brolucizumab 6 mg reported 6.6-letter and 6.9-letter improvement in HAWK and HARRIER, respectively, while patients administered aflibercept reported 6.8-letter and 7.6-letter improvement. At week 48, significantly fewer patients administered brolucizumab reported disease activity (23.5% and 21.9%) than patients administered aflibercept (33.5% and 31.4%; P= .0022). Similar rates were reported for both intra-retinal and sub-retinal fluid. According to Novartis, the 2 trials were the first of their kind to show therapy efficacy at week 48 for patients with wAMD treated in a 12-week dosing regimen. Brolucizumab is currently the most clinically-advanced scFv to reach this stage of development. Its drug class is among the most sought after in therapy development, due to the drugs’ smaller size, enhanced capability to penetrate tissue, and rapid clearance from systemic circulation. Reaching the doorstep for a condition that’s on pace to affect more than 1.5 million people in the US by next year gives Support Sight Foundation Executive Director Dawn Prall George hope for a bolstered roster of AMD therapies. "Wet AMD robs people of their precious sight and takes a major toll on the lives of millions of people who face not only vision loss, but also the burden of frequent injections into their eyes," George said in a statement. "We are always excited about potential new treatment options and hopeful they may help people manage this devastating disease." Fabrice Chouraqui, president of Novartis, called the BLA acceptance an important step in the company’s efforts to “reimagine the treatment journey” for patients with wAMD and their care providers. “We are looking forward to the potential of a new option for patients with wet AMD, who often have to navigate considerable physical and emotional difficulties caused by deteriorating vision," Chouraqui said.